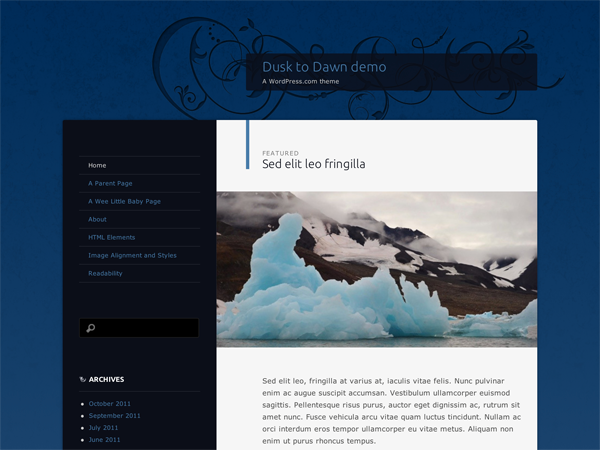 A dark theme that melds old-style organic ornaments with modern design and typography. It features a custom header, custom background, and a widget area in the sidebar. It comes with support for several post formats including aside, gallery, image, quote, link, chat, and audio.